Why do Driveway Gates vary in Price? Whether you are looking to install a new set of driveway gates to the entrance of your home to add security or simply want to increase kerb appeal then one of the first questions you will likely ask is how much are they going to cost and why do the prices vary so much between designs? Well with the help of this article the team at Garden Gates Direct hope to offer some helpful insights into the world of driveway gates and the reasons they can vary so dramatically in price. Driveway gates can be manufactured in a variety of materials including steel, wood, aluminium or even combinations of a number of materials including composite. However not all will be made using the same quality, size or specification of components nor will they all be constructed using the same techniques. 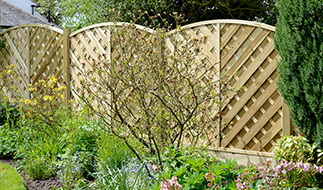 For example a cheap ledge and braced timber gate will require little skill to build and is often simply pinned together using an automatic nail gun. Whilst this makes them ideal as a cheap fix you should not expect them to last more than a few years. By comparison of gate made with traditional mortise and tenon joints will take much longer to build and offer far better levels of strength and rigidity allowing it to last a lifetime if maintained correctly. However, the downside to this is the increase in quality and longevity is reflected in the price. For this reason it is not recommended that you ever make direct price comparisons based on the appearance of the gate alone. It stands to reason that the more expensive a gate the higher the quality of components used to make it. In basic terms this generally means that the more you spend the more rigid, durable and secure the gates will ultimately be. It is therefore important to set your expectations of the gate (in terms of weight and quality) to one that is realistic to your budget and size of opening. There is no point dreaming of solid oak gates if your budget will only cater for an entry level design such as our Classic Metal Driveway Gates. The span of the opening is going to play a major role in the overall cost of driveway gates and this is not just because of the additional materials used to construct them. In fact gates can be made at any width using one size of component however they will simply sag under their own weight once a certain width is achieved. It is for this reason that some of our double gate designs stop at openings past 12ft and why many of our designs that fit larger spaces are made from our heaviest duty wrought iron style components. In addition to the width of the gates the height will also play a role in the overall cost as this will also effect the specification of components required. Simply put the larger and taller you want your driveway gates to be the more expensive they will be to purchase. This applies to both metal and timber designs. Another point of consideration not mentioned is whether a standard size set of gates will fit. Gates of this nature cost less than made to measure sizes as things such as cutting lists, jigs and components are pre-set or components may be pre-cut to length help cut down on the manufacturing process therefore helping to keep costs down. For one off designs and bespoke sizes the labour time is greatly increased and as such the price will rise accordingly. Another influencing factor in the overall cost of driveway gates is the design you would like to order. Whilst they may be available in a huge selection of styles the simple fact of the matter is that the more elaborate, intricate or decorative the design the more expensive the cost will be. So if you are looking for cheap driveway gates try to select simple designs such as our Manor, Weston and Warwick options. Double gates for the driveway come in a variety of types and as such have large variations in price. Whilst common 50/50 split configurations are the most cost effective solution other configurations such as bi folding and 70/30 split gates are available for a slightly increased cost (when compared on a size for size basis). As with any purchase for the home it is advisable to consider the amount of painting and maintenance that will be required in order that the gates remain in good working condition. With this in mind if you do not mind painting them yourself every couple of years then the cheapest gate option is a primer finish. In comparison if you would prefer a lower maintenance option then a zinc plated (electro galvanised) and powder coated finish is definitely worth the initial uplift in the purchase price. In conclusion the factors that influence the cost of a set of driveway gates are wide and varied however provided you take account of the above points we are confident you will be able to make the right purchasing decision to suit your budget and your home security requirements. 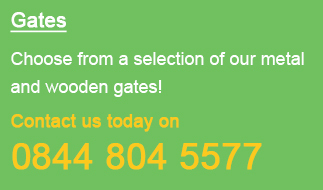 Alternatively to find out more about our great range of driveway gates feel free to get in touch today by phone or email and we will be on hand to offer our expertise.